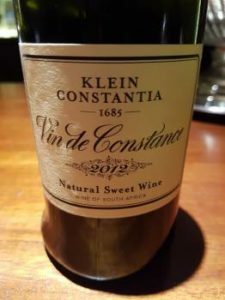 As is now well-documented, Klein Constantia changed ownership in 2011 and the 2012 vintage of the property’s renowned sweet wine Vin de Constance is the first made entirely under the new regime. Picking started in late January and finished in late April, some of the fermentation taking six months to finish, relates winemaker Matthew Day. Maturation lasted two and a half years in 500-litre French and Hungarian oak barrels (of which 60% was new) plus 4% French acacia. Total production: 22 000 bottles and price: R850 per 500ml bottle.